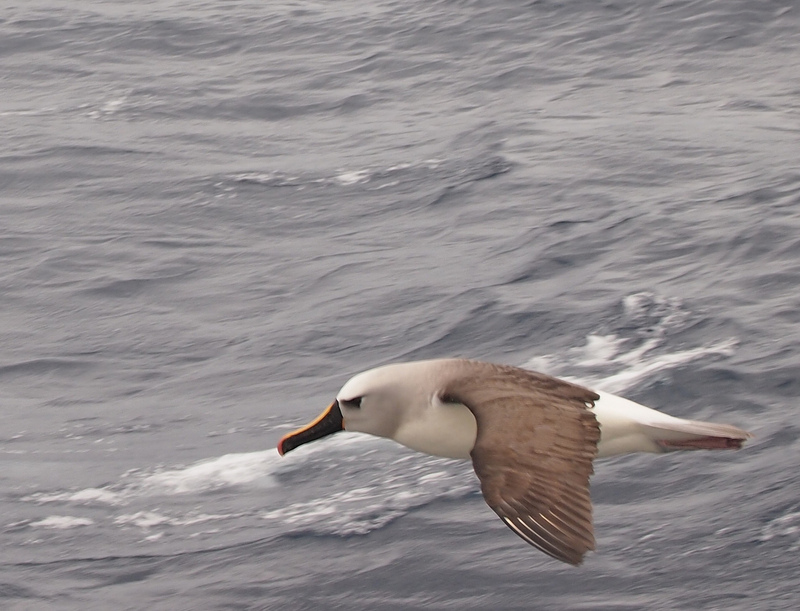 The Yellow-nosed Albatros got its name because of the distinctive yellow upperbeak, where its nose tubes are. There is an Atlantic and Indian variant. Like all albatrosses it is a real ocean bird.